Home > Financial News. Simplified. > Are You Ready With Your Financial Goal Worksheet? Anaita, is a workaholic, who wanted to spend her one Sunday evening leisurely after completing all her personal work. It included paying her credit card bills, getting the car serviced, visit the tailor to get a dress stitched for the coming festive season, cooking, and laundry. Unfortunately, Anaita couldn’t spend her evening peacefully because she overslept and didn’t factor in the time required for each task. Most importantly, she did not plan to execute each task on a priority basis. Anaita represents most of us who aspire for a peaceful weekend but end up stressed out. This is because we don’t prioritise our tasks and plan our day well to accomplish a set goal. We procrastinate more often to push things for later. Benjamin Franklin said, "By failing to prepare, you are preparing to fail". Even blissful retirement is one of the many aspirations of our financial freedom, however, only a few works on it judiciously along with other financial goals. Setting a financial goal is very important because it provides a purpose, meaning, and it is a roadmap to accomplish the envisioned goals. It is a key to effective planning. The goals set must be specific, measurable, achievable, realistic, and time-bound. 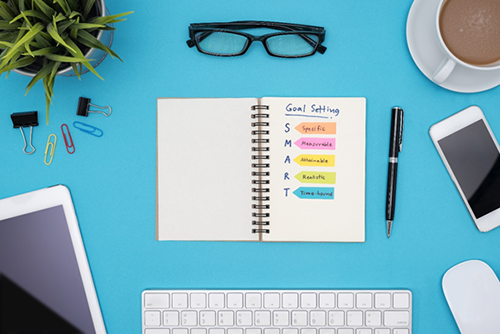 In short, your financial goals should be S.M.A.R.T. By listing down each of your financial goals, you start understanding yourself and your responsibilities in life. It provides a perspective as to how many steps you must walk to reach your end destination –– your financial goal. A clear distinction between wants and desires outlines a vivid picture of your overall financial goals. Depending on your needs you can prioritise them. Further, rank your goals in order of importance. This is because only then will you realise the urgency of some goals and meet them on time. In addition to prioritising financial goals, it is imperative to keep in mind the time horizon remaining before goals befall. Accordingly, classify goals into a short-term, medium-term, and long-term. It is a universal fact that we individuals, work only when we are time-bound. If you set a goal without classifying and setting a time, you will never achieve it. Each financial goal carries a future value. Hence, not only saving but investing the money in productive investment avenues is imperative. 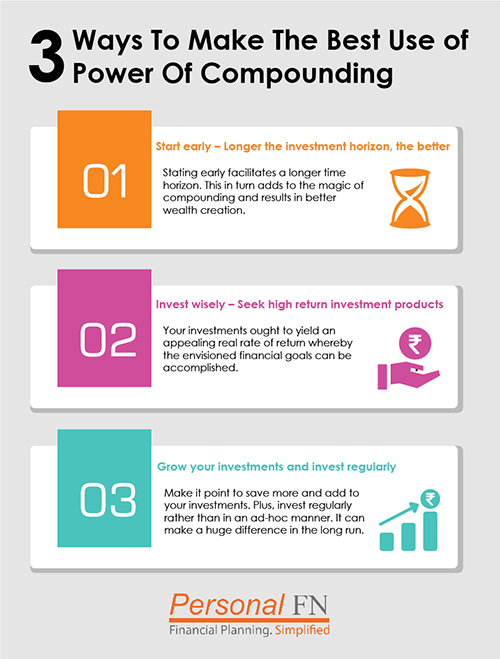 This way, you counter inflation effectively and the power of compounding works in your favour. Depending on the time horizon in hand to fulfil a goal, choose your investment avenues wisely. If you wish to know how much money you need to save and invest wisely, use PersonalFN’s retirement planning calculator. Be vigilant with the investment avenues you opt for – there is a plethora of them. So, if you are choosing Equity mutual funds for the fact that you have long-term goals to achieve and have a high-risk appetite, make sure you opt for an appropriate sub-category of equity funds. Choose the ones that have displayed a consistent performance track record and are likely to do so even in the future. Make sure you invest in accordance with the asset allocation that is best suited for you. Once you invest in the endeavour to accomplish your financial goals with all the facts, figures, and timelines in place, review your financial goals regularly. This will enable you to recognise if you are on track and make the necessary adjustments to accomplish the envisioned financial goal/s. Similarly, there would be certain financial goals which you may have achieved. Strike them off from your financial goal worksheet. Likewise, if you feel there are certain goals which are needed to be adjusted or revisited, do it. In the entire goal planning process, make sure you don’t ape what your friends and relatives do to accomplish their financial goals. Because as Lucretius has rightly said- ‘One Man's food is another Man's Poison’. Investing and goal planning are individualistic exercises. Make sure you have your financial goal worksheet ready and act upon it in the interest of your financial health and well-being. What if I tell you that unusual and lesser-known funds are capable of big gains for you, the investor? However, you need to look beyond star-ratings and popularity of the mutual fund schemes, to identify the hidden gems that you have probably never heard of, but still, carry commendable management qualities and portfolio features that offer superior growth potential to become category outperformers in the long run. PersonalFN’s brand new research report: 5 Undiscovered Equity Funds – With High Growth Potential is meant just for you.